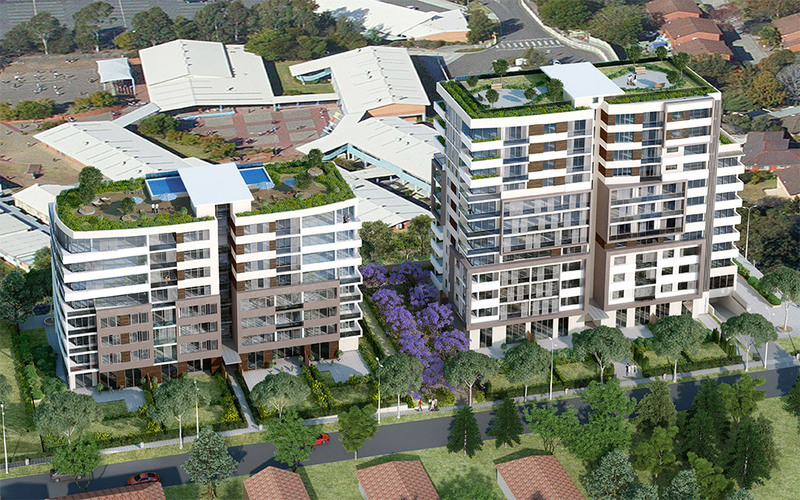 This project provides a high quality residential apartment development that will deliver a land mark building and establish a western entry to the Castle Hill town centre. The distinctive 12 storey building on the south western part of the site will provide 92 apartments whilst the 8 storey building to the north of the site will provide 56 units. There will be 320 car spaces provided within 4 levels of basement parking. The buildings, designed by Giles Tribe Architects who have meticulously planned the layout so that the transition from the 12 storey height limit proposed adjoining the primary school and the 8 storey height limit proposed on the north western side of Barrawarn Place is seamlessly effected. 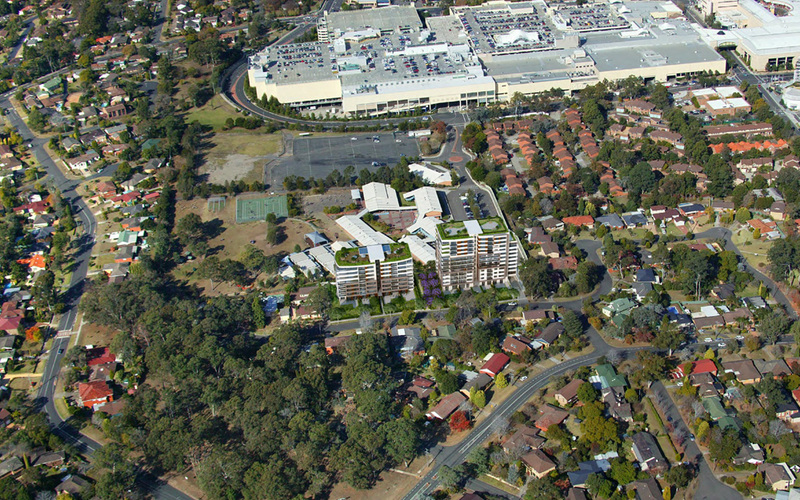 The project is located within the North West Rail Link precinct and is within easy walking distance of the Castle Hill Railway Station and the extensive North-West bus services, Castle Towers Shopping Centre and schools.